A few weeks ago West Virginia experienced catastrophic flooding in large parts of the state, uprooting and displacing thousands of people from their homes and disrupting countless lives. In the wake of this historic weather event that tragically took nearly two dozen lives, the Red Cross has been on the ground offering temporary shelter, food, health services, emotional support and much more. Staff and volunteers from the Greater New York Region have deployed to join the flood relief efforts. This week, several of these Red Crossers will share their stories, impressions, observations and photos from West VA. Here is a collection of snapshots from their days on the ground. Andrew Sindell is the Manager of Volunteer Services for the Metro NY North Chapter and deployed on July 7 to manage volunteers in West Virginia. Today I worked with local volunteer ERV (Emergency Response Vehicle) drivers to support an event this Saturday sponsored by Tzu Chi. Tzu Chi is an international disaster relief organization the Red Cross has worked with in New York. The event will be supported by our volunteers who will be distributing items and driving the ERV trucks to West Virginian residents affected by the flooding. Lilliam Rivera-Cruz is a caseworker at the Greater NY headquarters. In West Virginia, Lilliam is helping in different roles, including casework and damage assessment. Today was my first experience with an Integrated Care and Condolence Team (ICCT). The ICCT provides services to families and friends of missing, injured and deceased loved ones. A wide and confusing range of emotions may be experienced after a loss: denial, disbelief, numbness, anger, blame, sadness and crying. Our team included Disaster Mental Health, Health Services, Individual Client Services and Spiritual Care. It is a very important, yet emotional task. The therapy dogs were brought to the office as well. Our main goal moving forward is to provide additional truck drivers and find volunteers to assist with administrative projects. Right now we are working on placing EBV's (Event Based Volunteers) as drivers in the Greenbrier County area which was one of the hardest hit areas. Greenbrier County is in the Southwest part of the state and they are currently continuing bulk distribution. We have one shelter that is still operating so we are actively recruiting volunteers. We also have groups of volunteers that are working with us to complete various projects such as cleaning Emergency Response Vehicles and making cards to thank our volunteers. Ana Torres is a volunteer from Westchester deployed as a caseworker from July 5-17. Caseworkers meet with affected residents one-on-one to provide Red Cross assistance and to connect them to available community resources. Right now I’m doing casework in the parking lot of a school that is completely destroyed; we’re sitting outside in a tent at tables with our computers. People come in and we verify the damage to their home. For many who sustained damage we are able to give them a debit card with emergency funds for basic necessities. We also make sure they go to FEMA. One woman came in after the damage to her home was assessed, her house was destroyed and we were able to help her, her husband and their two kids. Another woman came in and met with us; once we had all her information she told us she could fix her own house, that we should find someone else who needs the money more to give the funds to. We will be here until 8 p.m., we were here yesterday, we are here today and here tomorrow. Today, I worked with five families. On the way to our operations headquarters I stopped to have a mini lunch. When I was ready to pay my bill, the cashier approached me about her sister who had been affected by the flooding and received a Red Cross debit card [for emergency assistance]. I gave the cashier my Red Cross phone number so I could answer her questions. Then, as I was walking to leave the restaurant, a man approached me and asked if his mother, who lost everything during the floods, could speak to me before I leave. I sat down with the entire family and discussed how they could receive additional assistance. "The Red Cross is amazing,” said the man. "Thank you." Over the course of yesterday and today, we have canvassed 41 houses in the town of Rupert, doing damage assessments. Roads in the city of Crawley were closed due to floods. Part of the street is gone with rocks all over. Today, my team member and I visited houses one by one performing damage assessment in specific areas. We also spoke to families and offered disaster mental health services. Every visit, every interview, every moment has its own unique emotion: the look in their eyes, the tears running through their face, the thank you and hugs! 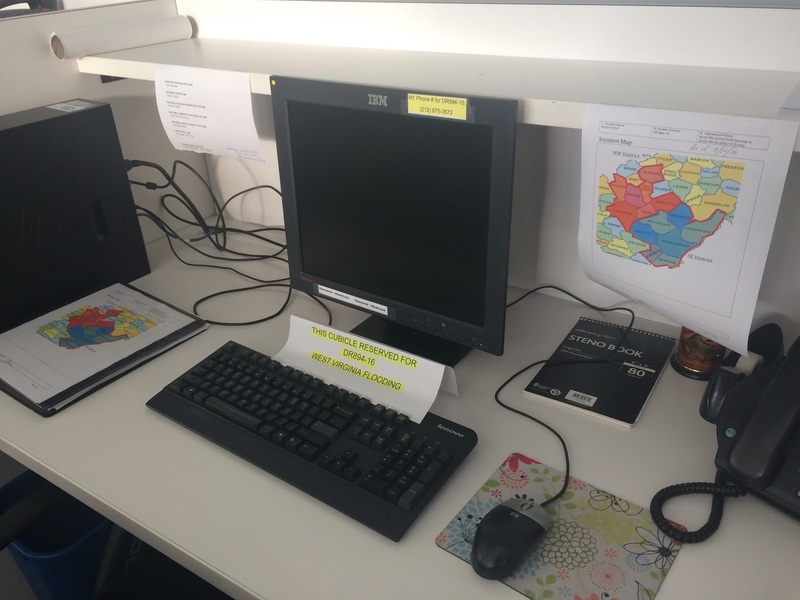 I am working in Staff Services with EBV's (Event Based Volunteers) from the local community to try to place them into open opportunities we have. Some are driving trucks, working in the warehouse, helping with damage assessment and many other administrative projects. So far we have placed over 120 EBV's on this operation since it started in late June. I also traveled to volunteer reception centers to see what the needs were for other organizations so I could make appropriate referrals. 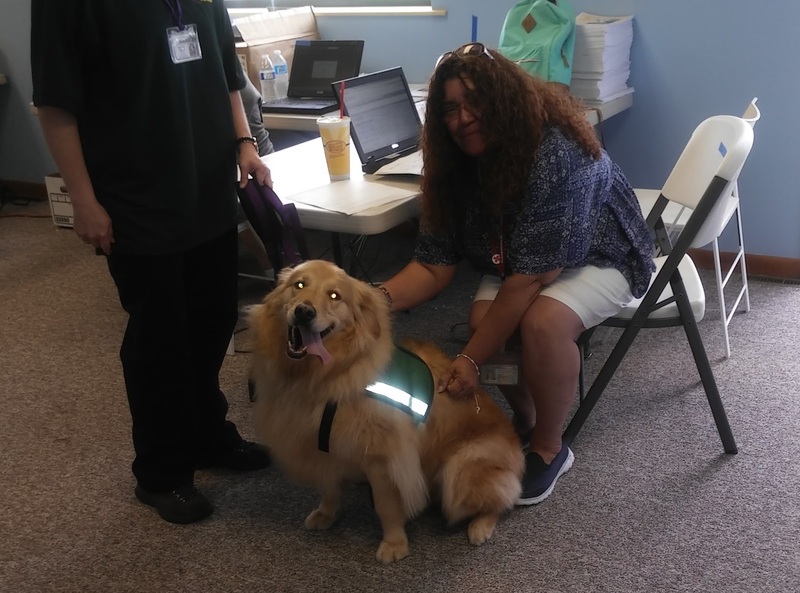 Patty Jones, a volunteer from New York City, is virtually deployed to a call center here in NYC to support the victims of the West Virginia floods. We record as much information as we can into the call log, which is a spreadsheet. Sometimes we can respond to the calls ourselves, like I did for a woman who needed debris removed from her porch. Most of the repairs and cleanup were done themselves but her husband is in his seventies and she thought it would be too much. So I put them in touch with a local volunteer organization I knew of to help remove the debris. There are many calls from other people who have done most of the repairs and cleanup, they just need a little extra help. Based on what I’ve heard and seen in the call logs, West Virginia residents are very resilient. They’ll share their story and tell me what’s been going on and what they’re doing to fix it. One call I got was from a homeowner whose house was destroyed in the floods. 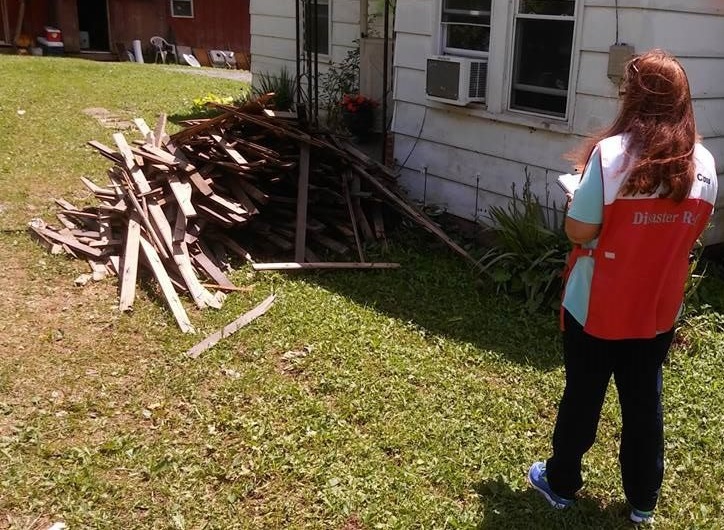 I directed him to a nearby Red Cross service center and connected him with a caseworker to help go through the recovery process.